Archaeological digs have shown that Galera was populated more than a million years ago. The Altiplano has a wealth of remains of prehistoric cultures. The Iberian Bastetano people, founders of the city of Basti (the origin of modern Baza), one of the oldest in the Iberian peninsula, settled here in the 6th century BC. The Lady of Baza, chief among Iberian remains, was also found here. The present site is situated a little more than a kilometre away towards the west of Galera, on the left bank of the river BarbÃ¡tas. The site was discovered by looters in the spring of 1980 and then suffered pillaging just after this, meaning that the excavation had to be carried out with great urgency. Culturally-speaking the town dates back to argaric Culture, within an advanced period of the Bronze Age. The Early Man of Orce. The most significant find has been the discovery of a burial area containing the most well preserved remains since the discovery of Otiz, the Prehistoric Ice man found in northern Italy in 1991. There is now an information office on site. 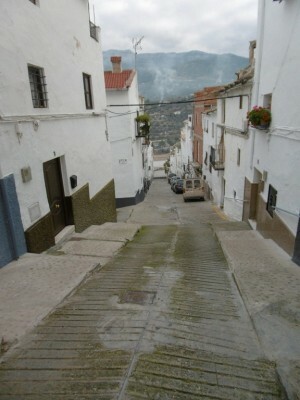 Directions: In Galera follow the road Calle Cervantes as it leads away from the town centre. This is will lead to you the archaelogical dig. It is approx 5 min drive from the town centre. The earthwatch expedition has been working in the Baza lacustrine basin since 1976. The Baza basin was connected with the sea during the Miocene. However, about 5 million years ago, a tectonic uplift disconnected this region from the sea and formed a 1000 square kilometers lake. A great variety of animals and plants inhabited the borders of the lake. This lake existed until quite recent times, when a new tectonic uplift opened the basin toward the Atlantic Ocean. This new situation provoked great erosion of the lake deposits and the formation of deep ravines. These ravines permit us to study the succession of sediments and all objects these beds contain (i.e., fossils, lithic artifacts). Palaeontologists have found human-made tools that are up to 1.7 million years old. So far, excavators have found stone flakes, fragmentary human remains, and, most interestingly, parts of elephants and hippos together with evidence of human tools, suggesting that the animals were killed, butchered, and carried to some other location. The fossils of a female elephant Elephas Meridionalis have been found in the site of Fuentenueva 3. It is one of the most complete animal remains discovered in Europe in the last thirteen years and also one of most spectacular discovered in the Yacimientos of Orce. The pelvis of the elephant is complete with the 'sacred bone', part of the spine and several ribs, it lacks the front legs and the head. This species of elephant was around in the Iberian Peninsula from Africa 2.5 million years ago and it became extinct one million years ago. According to paleontologists it was an "all terrain" that fed on branches of the trees and although it could not be hunted by the homÃ­nids given its size, they still integrated it in the food chain as carrion. The Orce region is an exceptional place in Europe to study the last four million years of geological history. Only small plants live today in the basin soils because of the dry climate and salty sediments of the basin. This environment generates excellent outcrops containing mammal fossils and lithic artifacts. This property is in the ..."
Just a couple of minutes fro..."
A nicely presented two bedroom apart..."